2 billion+ people are on Facebook and advertisers have spent $26,885 million in the year 2016 to reach their target audience. Seeing the stats one can easily say that the chances of you reaching your target audience through Facebook are pretty high, right? But, then you hear from people on how they spend thousands of dollars without getting any relevant result from Facebook ads. Now, the question arises on whom does one believe? The answer is both!! When done properly you can easily reach the target audience and get them to take a desired action. If not, then you would only be spending money without generating any significant lead and thus wasting money. The problem with people who are not able to get desired result from Facebook is that they are not researching about the platform, it’s functioning, etc. in a proper way. Most of them try using similar analogies that they use in Google adwords and they fail. The reason being people come on Google to search for specific thing while on Facebook people come to spend some time and see their friends and family recent activities. As such one needs to place ads in a subtle way that conveys the message without creating any inconvenience for the customer. You might be in any business, but the important thing is knowing who your customers are. One must analyze the people who are buying their product/services, the one’s who can probably buy, their language, region, etc. Not only this, when advertising on Facebook you must also know the time when your target audience are most active on the medium, the type of content they like, etc. This would help you in customising your audience when using ‘Power Editor’ tool for setting up ads. Once you know your audience, the next important thing to do is to create custom audience. For this one needs to initially get customers on their Facebook page or if you have a list of your customer mail ids then you can upload that too. Custom audience setup can be used to retarget the people who have recently visited your website and you want them to come back to your site. Now, lookalike audience are created if you want to target audience whose behaviors and habits are similar to your custom audience. The created audience can be used to gain new leads for potential customers and create brand awareness among your target customers. The most important part is to create a right ad that can influence the audience to take the desired action. One thing to remember is that do not create ads that are too text-heavy as it would hardly be read by the viewers. We would recommend creating an ad in power editor as it requires greater deal of customisation so that your ad only reaches the right audience. Single image ad: Suitable when one wants to convey a specific information or event details to their customers for e.g. 20% discount on your graphic design services. Make sure that the text in the images are always less than 20% of the total area for better results. Carousel: Carousels are a set of images that are shown to the audience. Carousels can be great for showing people your blog post, products offering, etc. Video ads: The most used ad format that gets one of the best ad result. Make sure that the video is interactive, is of high quality and is somewhere between 45 second to 120 seconds. Demographics: Demographic targeting like age, gender, relationship status, etc. comes to use when your product is defined for a specific set of use cases and people. Interest: What does your target audience like? If you know this then you can easily add these in power editor and limit your ad to only those users who like these things. Behaviour: Does your audience use specific device or are they a frequent traveller? With the huge amount of data available on user behaviour one can easily target the audience based on their behaviour. One ad targeting only mobile users of few cities in US like New York, Los Angeles, etc. The next ad can be only for mobile newsfeed for people living in US cities. So on and so forth you can make small tweaks in the ads to create many ad variants. This would be helpful for you in monitoring the ad progress. Also never make more then one changes as then only you would be able to know that due to which change the ad is performing well. Lifetime budget: In lifetime budget one has to enter the total amount one is willing to pay during the entire lifecycle of the ad. This allows the marketer to ensure that the ad does not cost anything more than the intended amount. Also, the other advantage with lifetime budget is that one can set the date and time when the ads would be shown depending on the research of when the target customer is most active. Daily Budget: Using daily budget one can set the amount they are willing to spend daily for the ads. The option available are to either run the ads until they are stopped or else fix a date after which the ad would automatically stop. Therefore, set your budget wisely, review it frequently and make sure you are not spending more than what is intended. The battle is not over once you have created an ad, rather it’s just the beginning. After creating an ad you continuously need to monitor and review your ads so that you can know the ad progress, amount being charged, etc. One of the important thing is to add pixel code to your website, if you are redirecting people to your site. Adding pixel code to your website ensures that you know whether the audience going to your site are turning to your customer or are leaving without signing up. The data collected would also help you to analyze the performance of your ad and see whether you target audience is relevant or you need bit more of customisation. One of the important advice we would like to give is that do wait for few days, most probably between 4-6 days, before discontinuing the ad. 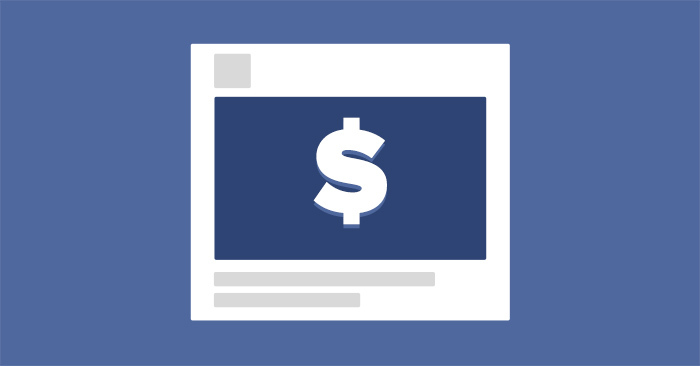 Many marketer discontinue the ads very early on not getting the desired result, but the important thing to note is that Facebook takes time to optimize the ad. Therefore, wait for some time and if you do not get a desired result then try making changes in the ad. So, these are the important steps one must follow to get genuine customers through Facebook ads. What do you think guys? Are there any other recommendation you would like to give? Do comment below. Campbell Jof is a Creative Head for Designhill, as well as a blogger and designer. He writes on topics concerning graphic design, eCommerce, start-ups, digital marketing, and interactive content. His creative work has earned him several laurels over the years.